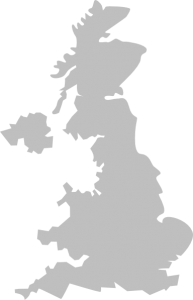 In 2016 Fifo Capital entered England, Scotland, Wales and Northern Ireland. View our Fifo Capital United Kingdom website here. Fifo Capital entered Ireland in early 2017 with many partnerships and client engagements formed. View our Fifo Capital Ireland website here. Commening business in 2018, Fifo Capital Canada has established operations in most parts of Canada. View our Fifo Capital Canada website here. 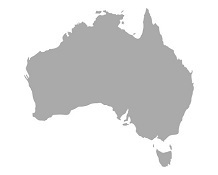 Estalished in 2007, Fifo Capital Australia has established circa 50 branch offices, nationwide. View our Fifo Capital Australia website by clicking here. Fifo Capital launched in 2005 and has twelve offices spread accross the counry. 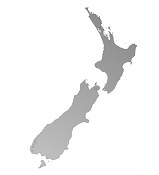 View our Fifo Capital New Zealand website by clicking here. Since launching in New Zealand in 2005, the Fifo Capital network has expanded to more than 70 franchisees across five countries, with annual growth at circa. 40 per cent. Over the next two years, Fifo Capital is expcted to expand to Singapore. Additional regions of interest include Hong Kong, Japan, Malaysia, South Africa and the Middle East. Should the Fifo Capital business in any of these territories be of interest, we welcome you to contact us for further discussion. "The decision to join Fifo Capital has delivered beyond my wildest dreams. On the earnings front, by my sixth month in business I had already exceeded my goals for the first year. I hit the $1million mark in finance written for the month in my 12th month. The average monthly business I have written for the last 12 months is $2.7million." "Fifo Capital really is better than the rest. It’s a great mix of people and the support available is comprehensive and always there when you need it. I’m very lucky that I get to work with people I like, while growing both my business and those of my clients even further. If you have the capability for this business it’s brilliant – you just have to get into it!" "Fifo Capital has a winning combination of the right product and a growing market, so presents great scope to make money if you have the right kind of experience and enjoy helping people. Being part of a small, fast, flexible business means that I can focus on my customers and on finding the creative solutions they need to solve their lending challenges." "Fifo Capital easily met my short deadline and delivered exactly what he promised at a time when the growth of my business required our debtor funds to survive. Fifo Capital's support allowed our business to grow at a rate that would not have been possible without this funding facility.